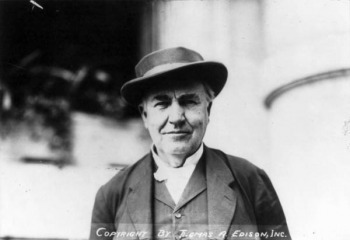 Thomas Alva Edison once said, “I have not failed. I’ve just found 10,000 ways that won’t work.” Edison, undoubtedly one of the most prolific inventors in history, knew well that brilliant ideas rarely turn into a brilliant creation overnight and often take recurring trial and error to perfect. Stay tuned as we unveil our first “Failing for Success” story next week about Benjamin Franklin, one of history’s great renaissance men. To follow the series and see further updates from IV, subscribe to our IV Insights blog and connect with us on Facebook, Twitter, and LinkedIn. And check out our Behind the Breakthrough profiles to hear first-hand from top inventors, innovators, and more. Last week, we introduced you to our Innovating for a Cure series in honor of Breast Cancer Awareness Month. Today, we spotlight a pioneering medical oncologist and women’s health advocate with a powerful vision that knows no boundaries. With deep and broad knowledge in the bio sciences and a focus on biotechnology, the subject of today’s staff spotlight, Gary McKnight, Ph.D., is always up-to-date on the latest scientific advances as he pushes to identify the next breakthrough. It turns out it was a visionary woman – Ada Lovelace – who was one of the first trailblazers to challenge previously held conceptions about computers’ limitations.